What’s it like to win the VF-UK youth competition? The Dreamettes tell us here in their guest blog. 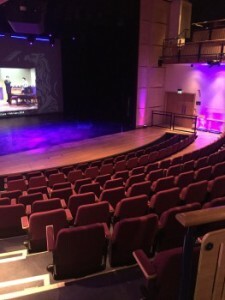 If you’re feeling inspired by the girls’ successes and would like to get involved with the Voice Festival’s youth programme, check out our dedicated page here, or take a peek at our plans for VF-UK’s annual Take the Stage event. 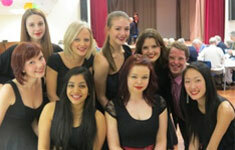 The Dreamettes was formed back when we were in Y7 at Putney High School (now all in Y13). Our music department is unusual in that every single year group is represented by at least one a cappella group, if not two in most cases. 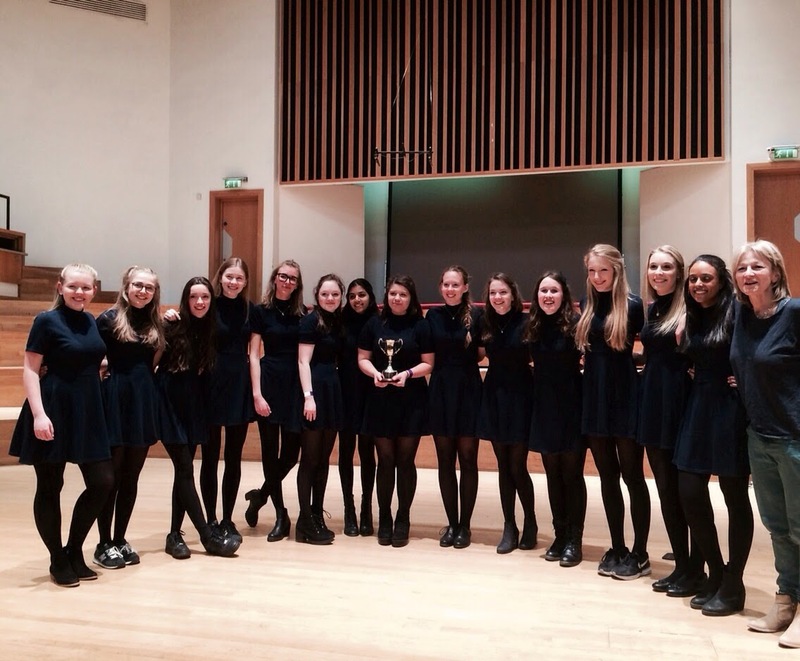 Thanks to this strong a cappella tradition in the school, the Dreamettes have flourished, growing in membership and ability year by year, as well as triumphing in school music competitions. But it was taking part in the Voice Festival UK that pushed us to our limits and made us realise what we could achieve. Suddenly a cappella became so much more than standing in a semicircle to sing a pop arrangement, and our motivation was raised to a new level. Heated discussions about choreography and presentation, which would have been given nowhere near as detailed thought a year ago, became the norm. Musical details such as note lengths, tuning and dynamics were now more vital than they had ever been before. We even dedicated some of the Easter Holidays to rehearsing for the VF-UK finals at group members’ houses (in hope that the neighbours would enjoy our heart-melting rendition of ‘Make you feel my love’)! Soon the day of the Finals arrived, and Dreamettes set off to Birmingham, all squeezed onto a minibus with the two other a cappella groups from Putney High taking part, not forgetting three of our teachers. Many were still half asleep, but after being perked up by a trip to Costa Express en route, excitement levels began to peak. The whole coach was singing in full voice as we drew nearer towards the city. We finally reached Birmingham Conservatoire, where the VF-UK organisers and participants were met by a crowd of 30 excited girls, ready to sing it out. The day began with some highly energised workshops on stage presence and beat boxing. With boots and cats flying all over the place, hundreds of participants united to form one unstoppable human drum kit, and let’s not forget that R600 loop machine which made us all turn green with envy. Before we knew it we were whisked straight off to rehearsals and a sound check in the Adrian Boult Hall. Minutes passed and the nerves began to kick in. We were more excited about singing together than we ever had been before, but as we waited by the stage door it was as if we were shaking as a single body, all feeling both the same adrenalin and fright at performing in front of hundreds of people. Then one of us said ‘Guys, it doesn’t matter whether we win or not. Let’s just go out there and sing’. So that is what we did. We didn’t know whether it was our best or worst performance – all we knew is that we were out there doing what we have always known and loved. Everything after that was a blur, and suddenly we found ourselves back on stage alongside the five other groups competing in the Youth Finals. With no idea what to expect and tension rising, we waited anxiously as various thank yous and awards were being given. There was an especially big applause from us for Jo Nicholls, the founder of the Dreamettes and the rest of Putney High’s a cappella groups, who received a special award for one of 10 arrangements she contributed towards the VFUK Finals. Emily Hazrati, a budding young composer in the Dreamettes, also won an award for her arrangement of ‘Budapest’ by George Ezra. ‘The winners brought the programme to life and made great use of the performing space’. This was the moment of truth. As soon as we heard the word ‘Dreamettes’ we all screamed at the top of our voices with shock and pure joy. There was lots of hugging, crying and laughing as we organised ourselves into formation for an encore of ‘Some Nights’. I still can’t find the words to describe how amazed and happy we felt at that time. Photos, interviews, more hugging and crying, yet it still didn’t end there! After a celebratory dinner at Wagamamas, many of us stayed to watch the University Finals. To say that we were completely awe-struck by the groups we saw performing is an understatement – the genius arrangements, professional-level choreography and musicality blew us away and gave us something even higher to aspire to. 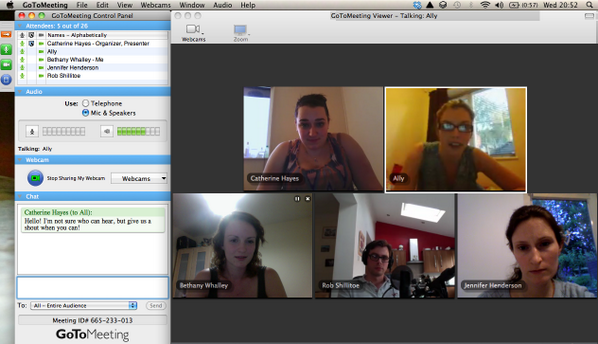 We’ve all decided to make our University application based on places where there’s a good a cappella culture! Hosting the evening was the Sons of Pitches, and they were awesome. 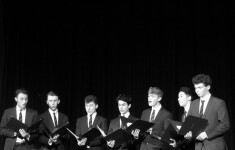 This made us realise that a cappella carries on even after school and University. Taking part in the VF-UK finals has helped our group come together and given us inspiration for the future. We’d like to thank Voice Festival UK kindly for such an incredible experience, encouraging us to achieve great things as a group and providing a platform for young a cappella groups across the nation. Michael grew up in Northern Ireland learning the bassoon and saxophone from a special collection of teachers and tutors in the area before eventually broadening out into piano lessons (so that he could be an effective music teacher himself) and self-taught guitar and singing. He went to study at the University of Oxford where as well as getting access to an amazing degree programme, he fully enjoyed the extra-curricular life of orchestras, choirs, plays, open mics etc. The highlights were getting to conduct some major orchestral works, particularly the Grieg Piano Concerto and Tchaik 4, and joining and eventually directing a cappella group Out of the Blue. 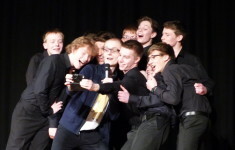 It was in this new a cappella context where he started to really love arranging and rehearsal directing – and of course the busy schedule of performances was the perfect lifestyle. Next came 2 years in Edinburgh and a whole new set of inspirational people and mentors as Michael trained to be a high school music teacher, led a children’s choir, busked a lot, and did a bit more religious choral singing. Most pertinently at this time he started to invest some serious energy in writing songs. 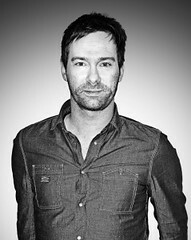 He moved south in 2007 and took a teaching job in North West London, joined a second a cappella group In the Smoke and soon formed an acoustic trio with musical soulmates from university days. Now with more than 6 years teaching in the same school under his belt he is devoting more and more time to freelance music projects. 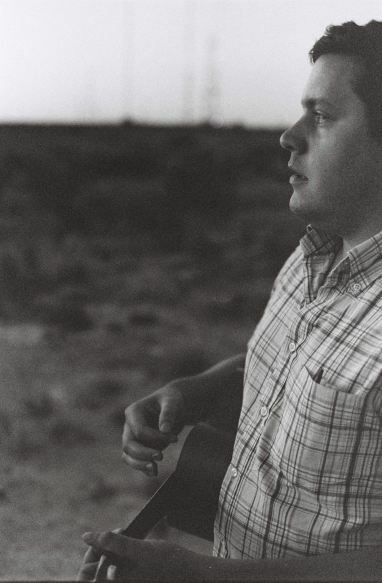 His passion is to write songs, songs that are happy to show all of his overlapping influences, songs that are sometimes eager to please and other times wilfully quirky. 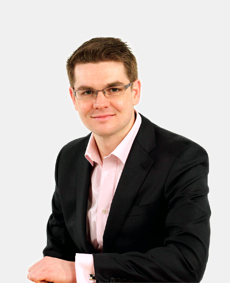 Ben Sawyer is quickly gaining an enviable reputation as a dynamic conductor and choir trainer, always able to draw the best from his singers. Having left his job as Head of Music at Tewkesbury School in August 2012, he has been in regular demand to lead workshops, start new choirs and conduct existing ones. He has been Chorus Master for Gloucestershire Music’s Massed Chorus of 500 students which performed at the Royal Albert Hall in the ‘Music For Youth’ in November 2012. 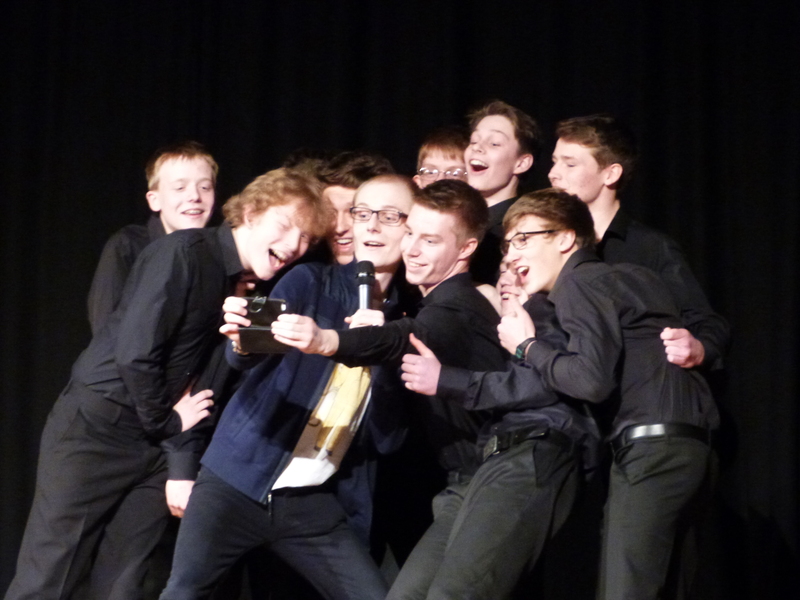 This has led to him being a founder conductor of the new Gloucestershire Youth Choir. 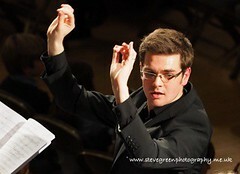 Ben was also Assistant Conductor for Cheltenham Festival’s production of Benjamin Britten’s community opera, ‘Noye’s Fludde’, as well as regularly conducting Hanley Voices, Tewkesbury Voices and Tyndale Choral Society. Ben is now the director of The Oriel Singers. Ben is also in demand as an engaging adjudicator, having recently appeared at Tiffin School, Kingston and Magdalen School, Oxford as well as regularly for The Voice Festival UK, and for the Rotary Young Musician Competition 2014. In addition to this, he led a Masterclass for the Eton Choral Course at Malvern College in July 2014. Since embarking upon her singing career, Emma has taken part in a wide range of musical activities, ranging from pop (she features on albums by such artists as the Pet Shop Boys, Take That, Bjork and Jarvis Cocker), West End shows, TV and film soundtrack projects (including Merlin and the latest Tim Burton film), through to opera, such as Peter Grimes in Salzburg, under Sir Simon Rattle. Emma also enjoys smaller scale vocal ensemble work, performing, touring and recording with such groups as the Sixteen, the BBC Singers, Academy of Ancient Music and I Fagiolini, among others. Emma also works extensively as a soloist: she made her Proms debut with City of Birmingham Symphony Orchestra in Bernstein’s Chichester Psalms, and rejoined the CBSO as soloist in the first recording of Julian Anderson’s Four American Songs. Other recent oratorio work includes Mozart’s C Minor Mass in London, Bach’s Christmas Oratorio in Sweden, Haydn’s Nelson Mass in Tewkesbury Abbey, and solos in the UK premiere of Lindberg’s Graffiti at the Festival Hall. Future engagements include tours of France and Spain with the Sixteen, concerts in Versailles with the Dunedin Consort, and Bach’s B Minor Mass in Leipzig with English Concert. The autumn also sees a trip to China to perform Purcell’s Fairy Queen, and a tour of the United States with Tenebrae. 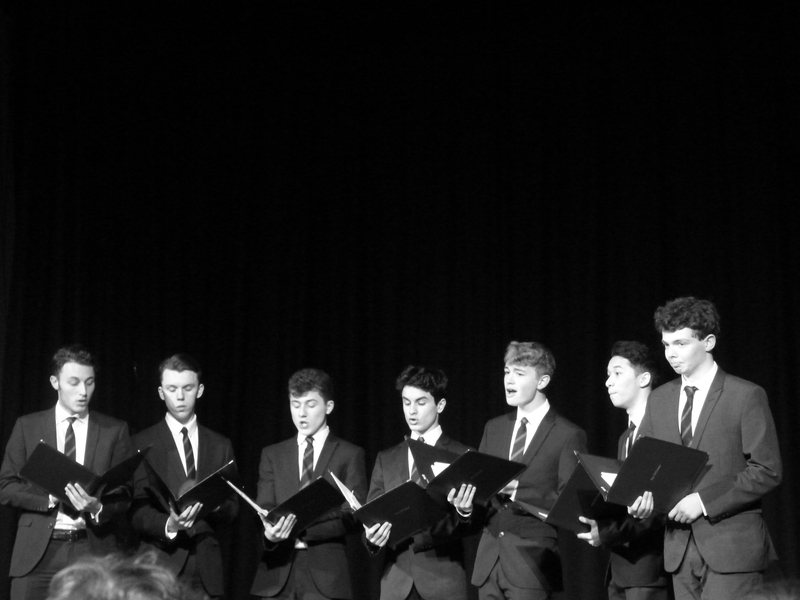 Making plans for the next academic year has given us the opportunity to reflect back on all that’s been achieved over the past 12 months – which have flown past in a blur of a cappella magic! Over the next few weeks, our three fabulous programme managers will be sharing some of their favourite memories and moments from our most recent events. 1. The sheer number of brilliant boys that have been involved this year. Having never had a male Voice Festival Youth Champion before, it’s brilliant that we’ve had over 150 taking part in the Youth Programme this year. 2. Seeing all our participants at Take the Stage standing on stage singing “Hallelujah” with the Swingle Singers. 4. Hearing some of our teachers sharing stories and tips in a recent webinar about how they support a cappella in their schools. 6. Some powerful solos throughout the year from every single group that’s taken part. 7. The Tiffinians performance of Colder Weather in the Youth Competition Finals which was quite simply spine tingling. 8. Seeing the progress that both The King’s Barbers and Vocal Grange made between Take the Stage and the Youth Competition – just a month apart. (“Soul Sister” and “Crazy Little Thing Called Love” sticking in the mind). 9. Seeing some ex-participants from the youth programme singing in university groups and watching them support their former groups. 10. Speaking to lots of youth participants completely enthused by a cappella with aspirations to carry on singing in groups way beyond their time at school. So now we’re winding down for the year and starting to plan next year’s season! If you’ve got ideas then we’d really like to hear from you so do email me at catherine@thevoicefestival.co.uk. The next big thing that the Voice Festival team has been planning is going to be a showcase at the Edinburgh Fringe Festival with a workshop in the afternoon – if you were going to go to sample some quality a cappella then why not try to fit August 8th at Greyfriars Kirk into your schedule!